10 letters. “Foreigners”. One of the first words you read as you cross the immigration border into China whilst clutching your passport for wanted approval. You are immediately reminded of your cultural legacy, your place, locality and distance from your origin, suddenly becoming aware of every difference and unfamiliarity that hits the five senses at full force at the arrived destination. From that moment on, it feels like an awakening of your perceived normality, an awakening of the self. For a Westerner new to China, as a ‘foreigner’ in global cities like Shanghai and Beijing you quickly begin to recognise the Mandarin (Chinese) translation of this word - “laowai (老外)”. It is a term perceived by many, both Western and Chinese, as a stereotype manifested from a contemporary Chinese perspective to indicate a perhaps more negative connotation of a lack of understanding of the East Asian contexts that you have chosen to be in, regardless of your knowledge of the different degrees of foreignness that exist in the world, or whether your heritage or socio-historic contexts deem you as East Asian from within Western contexts. A first experience in China obviously differs from the familiarity of a second or third, where “laowai (老外)” then becomes like background music, part of the peripheral; an expectation that can never be shaken off but you are content to accept. It becomes part of the transitory existence where the experience forces periodic self-questioning and re-examinations of identity often in a brutally isolating way, being forced outside of usual comfort zones of visual, verbal, aural and physical understandings and logic. Through the word’s over use, often as a throw away gesture, there is a realisation of what it actually means to be Chinese versus the perceived Western “outsider” from beyond the borders of the nation state. Many assumptions are made as to what your role is in China, you role as a man or woman, as an artist or creative, placing implications on your actual being and experience that is, for each person, a very different journey. Does it manifest personal insecurity? Or does it fuel a new sense of confidence? Here, within China, you have the single opportunity of being anything you want to be, or completely yourself. Who am I in China? But then, who am I back in my home country? Does being a “laowai (老外)” mean you will always be considered as foreign? You begin to self-reference against those around you, building a supportive community of like-minded souls who share the same sense of uncertainty and the same desire of enrichment and to question the world that now surrounds you, all with an intrigue for knowledge of the meaning of the unknown, the mistranslation and misunderstandings between East and West - the transcultural context. 老外 - Laowai - Foreigner brings together seven artists, four from the New York Academy of Arts (NYAA), New York (USA), and three from China, who engaged in an eleven week ‘Micro Residency of Art’ programme in association with the Fine Art College of Shanghai University, Shanghai (China), and the Central Academy of Fine Arts (CAFA), Beijing (China). Being a British “laowai (老外)” working in New York (USA) in 2008, and within East Asia since 2010, has given me a unique duality of experience in both contexts within which these artists have worked and exhibited. I, like the artists, have been repeatedly forced to question personal, physical and psychological boundaries in these new global localities, where my experiences are constantly developing through a fluidity of impromptu interactions and spontaneous happenings with new people everyday, always producing unexpected outcomes. This is how I came to meet the artists who are part of this show. Whilst China is being swept away, riding the wave of the fast-paced developing digital culture, immediate social networking communications and new media technologies online, this exhibition diverges away from this socio-populist realm, explicitly evading any examinations of expected Chinese political positioning, remaining more grounded in traditional visual and curatorial constructs referencing the importance and skill of the handmade and hand crafted, using artistic processes of painting, pen and pencil drawing, sculpture and print media. Some works state an obvious interaction with physical interior and exterior space, whether it is within the artwork itself or the artwork’s placement within the gallery, further shown through the use of ritualistic and self-disciplined mark-making techniques and in part, obsessive pattern construction. Most of the works seem internalised and “individual”, more for the “self” than the audience, acting as a social commentary of renegotiated personal examinations in new internationalised contexts, in turn creating new personal histories, almost like a form of documentary or visual diary. Here, Megan Ewert presents an internal energy thrown bare on the surface of the canvas, focussing on complex past and present relationships, the sentimentality and nostalgia of missing interactions, visualising notions of trust, questioning how relationships are built upon interactions of body language and the body acts as a reflection of an inner psychology all through communications of the flesh. Therefore, the more abstract painterly method, colour and its symbolic meaning are integral to the works, looking directly into the delicate feminine perception within China where bleached visceral colours are turned into shades of taupes, whites, and pinks. Like Megan, Cory Dixon engages with notions of gender and identity through representations of the male painter since the advent of feminism. These works are painted with seriousness and clarity, making symbolic references to not only his physical involvement through being the painter but also in the visual content of the works through self-portraiture, thus, being painted, directly questioning his existence in new cultural parameters between China and the West. Nicolas V. Sanchez’s paintings place man alongside animals in urban contexts in an attempt to examine cultures that the artist is to inherit, preserve and pass on in order to retain a certain cultural identity. The ballpoint pen drawings housed within Moleskine and hand-bound notebooks show profile portraits of the people with whom he has engaged during his time in New York (USA) and China. They are literal visual diaries, meticulous and discreet, showing intimate relationships between the subject and artist. The process of layering and crosshatching and the permanence of the ink in these realist drawings could be seen to make reference to China’s necessity to learn Western traditional artistic processes to a high standard, such as, life drawing and painting as part of arts education. Thus, Nicolas’s disciplined decision mark-making process makes reference to China’s dedication to be the best, even in a creative sense. Kristy Gordon embraces self-reflection through intimate portraiture. Situations and identities are frozen through her honest realist yet dream-like surrealist works. A sense of fragility runs through the brush marks, stating a true emotional connectivity with the subject and almost a sense of fear through the process of self-discovery. Wang Yi, organizer of the residency programme, presents more intimate illustrative compositions showing “a collection” of individuals where their relationship to the artist is unknown. He draws to escape reality, and at the same time through his images, presents closed existences through a notion of boxed containment, perhaps in relation to the infrastructures within China, or the idea of mass production in consumer culture that bears no escape. The people are viewed without a face and literal identity and are to be seen as “open and closed” in relation to their gender, investigating how men relate to women and vice versa within Chinese and Western culture. Ian Cao, the only artist to present sculpture as part of the exhibition, creates three-dimensional abstractly constructed portraits, where he sees the eyes as camera lenses, recording existence, interactions and relationships. Their physicality references how people view the world in different ways with different opinions, sometimes with distorted perspectives where the eyes can choose to accept or ignore what they experience and see, giving access to the “heart” and soul. Finally, Zhe Huang’s works pursue detail in the human form where cropping of the images is key in order to focus on personal and physical engagements with the self and material objects that are usually overlooked on a day-to-day basis. From palms touching each other and detailing on clothing, to fractures and imperfections on the flesh, all the things that make a person an individual, become documented and celebrated on the surface of the canvas, idolized for their hidden beauty and representation of the identity of that person. During the finite residency period in Shanghai and Beijing, the artists embraced key differences as part of the process of artistic production, and within institutional infrastructures and the art education system, creating works in a very short period of time within changeable and unpredictable parameters that make China, China. This frenetic dynamism is clearly prevalent in the imagery and energy of the works on display that are set in dialogue, clearly positioned as a networked response system exploring the common ground of the transcultural residency experience. Whilst the narratives at play are between the artists and China, and the artists and each other, they are largely the artists’ personal engagement with the self, their origin and artistic practice. Within this, the cultural differences inherent as part of the residency process and between the artists in the group, and the notion of “laowai (老外)” almost becomes null and void. The focus shifts more towards the attention to detail as regards the relationship between the artistic skills on display, the conviction shown in the artistic processes where they are, in part, didactic of their experiences, the documentation of collected and communal memories, of relationships both personal and ritualistic to the craft or skill as part of their practice, or as a visual representation of physical and literal relationships made throughout the residency. Ultimately, a means of understanding the artists’ personal curiosity with China and its world, and mine too. 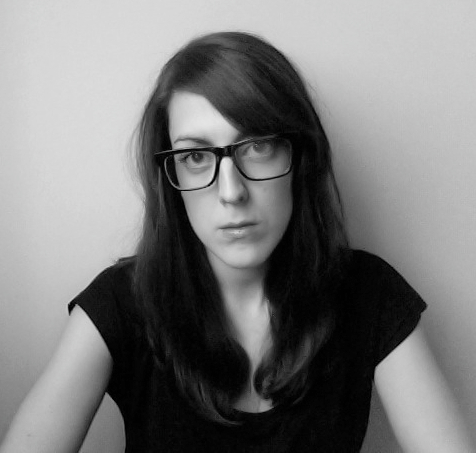 Rachel Marsden is an independent curator, PhD researcher and freelance arts writer in the field of contemporary Asian art, specifically contemporary Chinese art, since 2010 living between the West Midlands (UK) and Shanghai (China). Currently, she works as Research Curator for Chinese Arts Centre (Manchester, UK) and Coordinator for the Centre for Chinese Visual Arts (CCVA). In her fourth year of PhD study at Birmingham Institute of Art and Design (BIAD), in association with the CCVA, she is critically examining the translation, through interpretation, of contemporary Chinese art in the West since 1980, specifically the notion of “transcultural” curators and curatorial practice. In an academic capacity, she has been Visiting Lecturer in Fine Art at Loughborough University (UK), Visiting Lecturer in Photography at the University of Wolverhampton (UK) and, more recently, Course Leader in Visual Arts at the Academy of International Visual Arts (AIVA), (Shanghai, China). She has also gained experience in galleries including, the Solomon R. Guggenheim Museum (New York, USA), Today Art Museum (Beijing, China), Wolverhampton Art Gallery (Wolverhampton, UK), New Art Exchange (Nottingham, UK) and Tate Liverpool (Liverpool, UK). In September 2012, she co-curated the group exhibition ‘NOW INK’ included as part of the ShContemporary 2012, Shanghai (China) in conjunction with working as Curatorial Assistant and Copy Editor for ‘The Unseen’, the Fourth Guangzhou Triennial 2012, Guangzhou (China). As an arts writer, she contributes to various in-print and online magazines and academic journals, most recently to ‘Randian (randian-online.com)’, and ‘Art Radar Asia (artradarjournal.com)’. In addition to this, she is a practicing text and book artist, using East Asian culture as inspiration, to create interactive, participatory installations and projects, and books using bookbinding, paper-making and paper-engineering techniques, as well as facilitating workshops related to these disciplines to galleries, museums and educational institutions, regionally to internationally. She is interested in notions of archiving, repetitious actions, such as typing and printing, lexicality, language and translation, by exploring the role of the artist as a curator, and participants as collaborators.